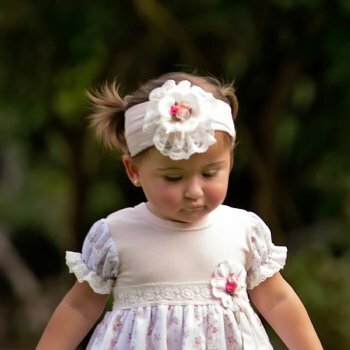 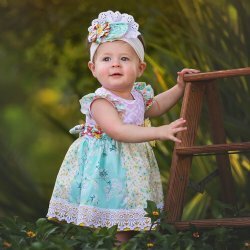 This Haute Baby "Emmie Grace" headband pairs with the newborn gown and the bubble dress just perfectly. 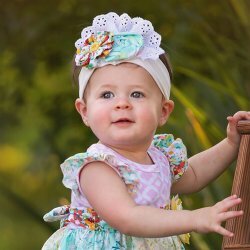 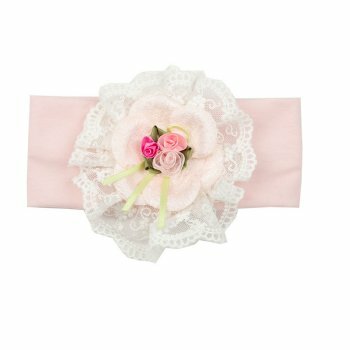 Headband is soft and stretchy and features a flower embellishment of vintage lace with pink rose petals and three florettes in the center. 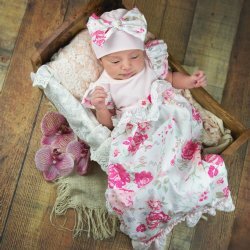 Flower matches the same flower on the garments. The perfect accessory to complete her outfit from top to bottom. 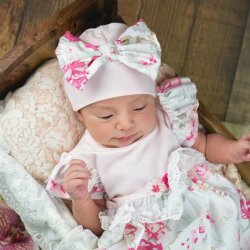 Note: We are currently out of stock. 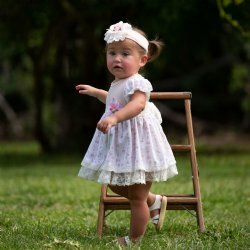 We will be back in stock early April. You can place your order now and we'll ship to you immediately upon receipt.